Microsoft has a giving culture. Many employees donate their time or money to their preferred charities and Microsoft will match a monetary donation dollar for dollar and/or give the qualified non-profit organization per hour that the employee volunteers. I am one of these dedicated volunteers in the K-12 education space, whether it be co-teaching computer science at a high school through Technology Education and Literacy in Schools (TEALS), coaching Women in Technology clubs in high school, or running school/community events that promote Diversity & Inclusion in STEM. I was spending so much of my personal time involved in volunteer endeavors that it eventually started encroaching into the quality time I had with my two children. I realized that I needed to change my volunteering approach and shift to a community service that would allow me to spend time and grow with my kids. This blog article is about how I ended up piloting a FIRST LEGO League Jr. team for my children’s school district for the 2018-2019 season. Why FIRST LEGO League Jr.
My children and I love LEGO. My two have been playing with LEGO bricks since they were old enough to stack them. Over the years their interests matured into robotics and Minecraft but they never outgrew their affinity for building with LEGO elements. There had been many afternoons we spent together simply building structures on our LEGO table for hours, but eventually I wanted them to engage in a more challenging endeavor beyond play. I wanted them to participate in a STEM program that would combine robotics and LEGO, and FLL Jr. fit the bill. In the end, I chose FLL Jr. because I’m inspired by FIRST’s mission and core values. Moreover, FIRST encompasses grades K-12, which means that my children (ages 6 and 10) can continue to participate in the program for many years to come. I can coach alongside with them and covering a topic I’m passionate about—robotics. What is FIRST LEGO League Jr.
FLL Jr. is a non-competitive, hands-on STEM program tailored for children ages 6 to 10 (Grades K-4). It is the first age group level in the FIRST program. Each year, a new challenge is presented by FIRST to ignite children’s creativity and engage them in real-world problem-solving. FLL Jr. teams of up to six children explore a theme (this 2018-19 season, it’s “MISSION MOON”) and design a model using LEGO elements to express what they have learned. During the season, they learn basic engineering and programming skills using the LEGO® Education WeDo system and apply those concepts to make parts of their model move. They also document their work in an Engineering Notebook and share their season through a Show Me poster. Throughout their experience, teams operate under the FIRST LEGO League Jr. Core Values, celebrating discovery, teamwork, and Gracious Professionalism®. For more information about FLL Jr. and its impact, go to: http://www.juniorfirstLEGOleague.org/about-jrfll#impact. Each participating region has a designated local nonprofit organization that runs the FIRST program. In my region, we have the Rhode Island Students of the Future (RISF). RISF is the operational partner organization for FIRST LEGO League and FIRST LEGO League Jr. in Rhode Island. The role of the local partner is to provide training to coaches and mentors who then form teams that participate in the program, and to manage the educational programs, events, expos and tournaments throughout the season. Unlike youth sports, local partners do not enroll students and place them on teams. The teams self-form in schools, libraries, community organizations and homes and then apply to be part of the season. There are plenty of resources online to guide any rookie coach through starting a team successfully. The great thing about a well-established program is not only the plethora of documentation available on the official site but also all the posted videos online by previous participants. Additionally, a local operational partner (such as RISF) can provide information and training for school administrators, PTO officials, community organizations, mentors and parents who are interested in starting a team. 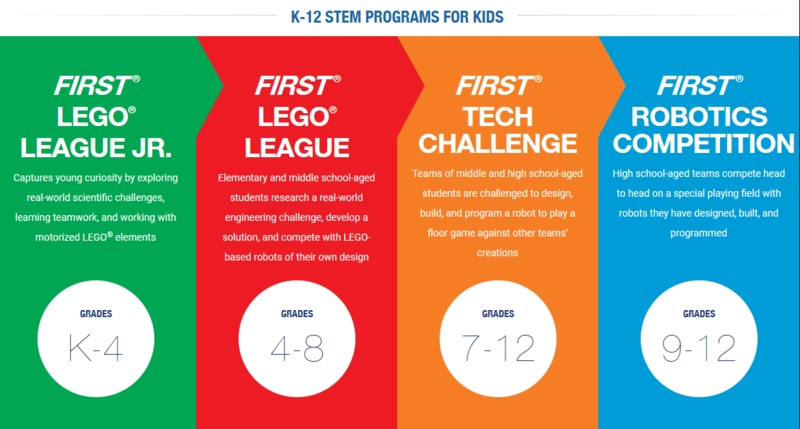 Most of the resources I used to help me start my pilot team came from FIRST’s official site (https://www.firstinspires.org/robotics/flljr/start-a-team) and supplemented by RISF. Go into the official FIRST website https://www.firstinspires.org/ (or https://www.firstinspires.org/robotics/flljr for FIRST LEGO League Jr.) and read up on the type of team you want to coach. Alternatively, you can reach out to the local operational partner of FIRST in your region, which you can easily find online using your favorite search engine. In the FIRST site, create an account if you don’t already have one. Click on the Sign Up link located at top right corner and follow the instructions until you’re logged in. Once you’re logged in the portal, you will see a dashboard. All your activities will appear on this dashboard. It will be blank if you have not created or registered a team. Click the CREATE NEW TEAM(S) button to create a new team. You will go through a registration wizard where you will be asked to pay for a one-time registration fee. If you don’t already own a LEGO® Education WeDo 2.0 Core Set, you will be prompted to purchase it during registration. WeDo 2.0 is required for the FLL Jr. program. However, unlike the LEGO® Education Inspire Model that comes with your registration kit, the WeDo kit is transferrable and can be used again for next year’s team. You can set up your team online either during or after the registration process. When you choose the latter, remember to have both the primary and secondary coaches identified in your team roster and verified with a background check; otherwise, your team will not be able to participate at the State Expo nor the World Festival (if selected). Each coach must meet the background check which is paid for by FIRST. A legitimate team needs at least two coaches on paper and at least two team members that meet the age requirements. The FLL Jr. level has a firm maximum limit of six members in a team. Once the registration kit arrives, read up on the curriculum. Everything that you need to know about how to conduct each session is articulated well in the Team Meeting Guide booklet. You don’t really need to go any further than this meeting guide to figure out what needs to be done for every session. But if you do want more information, everything is available online in the Resource Library of your dashboard. During my research I found out that there were no FLL Jr. teams close by to enroll my children into, so I decided to start one. Once I gathered enough information, I set up a meeting with the principal of my children’s elementary school and pitched the idea of running the first ever FLL Jr. program in the district. She was excited about piloting such program at her school with the caveat that I would have to run it. We immediately worked out the details including funding, roles and responsibilities. She made sure I had the space for the team to meet after school and she took care of recruiting additional team members on a first-come-first-serve basis. As the coach, I was responsible for registering the team, procuring all the necessary materials and teaching the children the FLL Jr. curriculum throughout the season. I registered my team before the team roster was finalized to gain online access to additional resources for coaches. As soon as the kits arrived, which was about 10 business days after I registered, I quickly verified that I had all the materials and flipped through the booklets to gain a better understanding of the scope of the season. With the recommended 12 sessions at 1-2 hours per session, I proceeded to lay out a schedule for the season. There are several notification/letter templates available from the Resource Library for coaches to use for any standard communication to parents. I used one of these templates to help me welcome each student to the team and provide the necessary information about FIRST and the FLL Jr. program. I used the online dashboard to make sure I completed all required administrative tasks and heavily referenced the Team Meeting Guide booklet to plan each session. Since the coach’s booklet is so comprehensive, I didn’t have to spend much time putting together a lesson plan. Generally, I would peruse through the content for the next session either the day before or the day of my team meetup. Our first session kicked off in October and we met almost every Monday after school for 1.5-2 hours until the State Expo in March. Our season’s schedule originally ended at the completion of the State Expo event; but then my team was selected to represent Rhode Island at the four-day World Festival & Championship in Detroit, subsequently extending our season to April. This is the first year that our state is sending a Jr. team to the World Festival. To have been selected is a great honor and privilege for our rookie team to experience. Each region has its own State Expo (for FLL Jr.) and State Championship (for FLL). The date of the event varies depending on the state. The FLL Jr. State Expo for Rhode Island was held at an elementary school on March 30, 2019. RISF had 36 teams registered for FLL Jr. in Rhode Island, but only 19 teams participated at the State Expo event. At the expo, each team presented their (Moon Base) model and what they learned to a “reviewer” who then matched the team to the right award for the awards ceremony. Because FLL Jr. is a non-competitive program, all members of each team received medals at the State Expo but my team was the only one awarded with a trophy for being selected as the first FLL Jr. to represent Rhode Island at the World Festival in Detroit, MI (April 24-27, 2019). The FIRST World Festival & Championship is a celebration of all the FIRST programs (FIRST LEGO League Jr., FIRST LEGO League, FIRST Tech Challenge and FIRST Robotics) and encompasses students in grades K-12. It is an amazing event inspiring celebration of ingenuity, problem-solving and gracious professionalism. As of the writing of this blog post, my team just completed the State Expo and is still three weeks away from participating at the World Festival. As an Application Development Manager in Premier, I’m constantly faced with having to learn new products and services for Microsoft and for my customers. Keeping up with technology is a challenge and I’m always looking to find ways to learn faster and actually retain the information. During the FLL Jr. season, I observed that the best way the children learned the materials was when I gave them the task to teach their fellow members after completing their research. The best outcome was when I had three groups of twos breakout to do research on topics like sustainable water, air and energy to then teach the rest of the team what they learned. I was amazed at how much the children actually retained from all the reading and watching videos online about their assigned topic. After this observation, I started applying the same practice on myself at work and found that it was effective in helping me retain information. Lesson learned: a great way to learn is to learn with the intention of teaching. There are many parallels between what I do at Microsoft and what I do as a volunteer. For example, as a Diversity & Inclusion Lead at Microsoft, I engage in many activities that foster diversity and inclusion at the workplace. As a volunteer at K-12 schools, I’ve made it my personal mission to inspire underrepresented minorities to pursue a STEM field. One of the ways I go about it is by teaching our youths to respect and appreciate each other’s differences. I am very proud of what the children in my FLL Jr. team have accomplished this season. They were a rookie team and, aside from my own kids, did not know each other prior to the formation of the team. But despite some of the challenges in the beginning, they were able to overcome and learned to appreciate their differences to ultimately build one of the most detailed and complex Moon Base model at the State Expo. With varying backgrounds of multiple nationalities, genders and grade levels 1 through 4, these kids have inspired me on what we can do if we just work together respecting and appreciating our differences.